A remarkable evening of music. 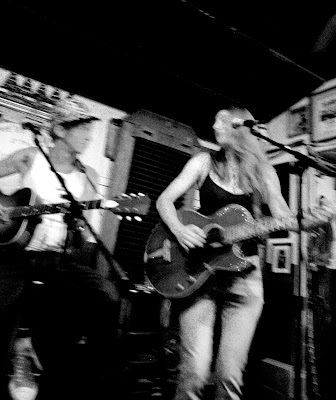 Jimbo and Olga walk onstage with two acoustic guitars,some incredibly inspired vocals, and an occasional harmonica or kazoo and knock everyone out. 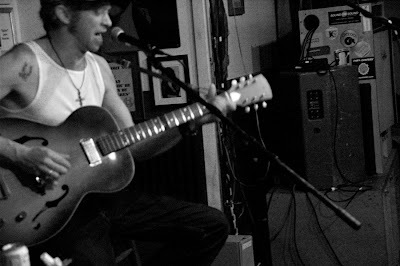 From the first song, a bit of Country Blues by way of Furry Lewis’ Kassie Jones to some Delta Blues with Robert Johnson’s Phonograph Blues, to Olga’s Torch Songs to Jimbo’s “A Town without Shame” from Samuel L. Jackson’s recent film “Black Snake Moan” and finishing some three hours later (I’m leaving a LOT out) with “I Heard The Voice of a Pork Chop” where Jimbo declares he’s “hungry as a BEA-UH!” which is perfect because Sauce Boss Bill Wharton shows up on stage in his whites, complete with chef’s toque, to offer Jimbo a steaming bowl of Gumbo fresh from his show at the burger joint around the corner. You have two more chances to catch this exeptional duo on this go-around. Tomorrow at the 5:30 “soundcheck” or tomorrow night at 10 PM. 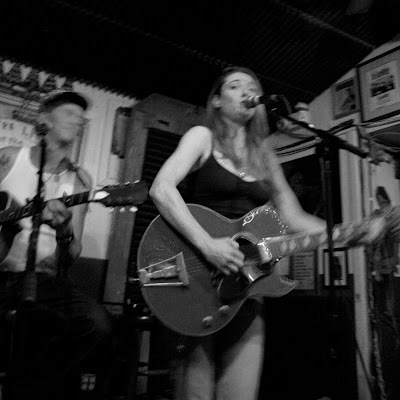 Olga and Jimbo Mathus Bring a Modern Case of Classic Blues to Parrot. you’re missing his best work. weepers to rollicking, almost Allman Brothers-esque rockers. Neel (Allman Brothers), and Matt Abts (Govt Mule).